Storage solutions for all types of jewelry, right this way. 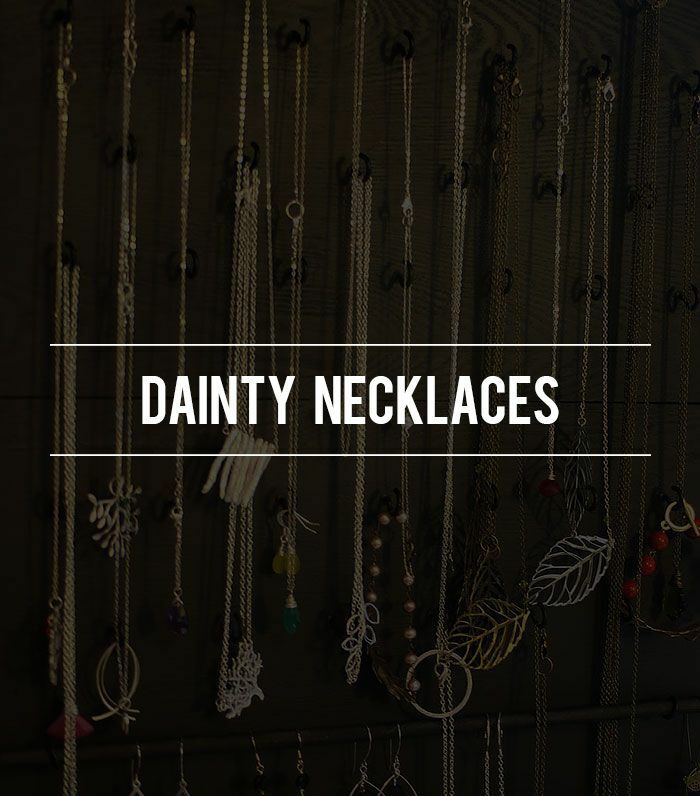 Click to find out how to organize your dainty necklaces. You’ll have plenty of hooks with Urban Outfitter's Trellis Jewelry Stand ($29). Click to find out how to organize your earrings. The diverse compartments in Jonathan Alder’s Toulouse Jewelry Box ($295) offer storage for all types of earrings. Click to find out how to organize your delicate bracelets. A tray with built-in dividers is perfect for keeping your fragile bracelets organized and untangled. Click to find out how to organize your everyday jewelry. Keep the jewelry you wear all the time in a highly visible, easy-to-access place. Click to find out how to organize your rings. This jewelry holder is purrrfect for stacking your rings. Click to find out how to organize your statement necklaces. Go for a vintage vibe with Anthropologie’s Fern-Reflection Jewelry Stand ($88). Click to find out how to organize your watches and bulky bracelets.